I spend a lot of time daydreaming about creative alternatives for assessing your students. Are you shocked reader? I thought not. Write and illustrate a book introducing one of the main course concepts to children. Include a final 1–2 pages with an “Author’s Note” for parents explaining the concept more clearly. Be as specific or abstract as you want in the children’s part of the book. Length: 9-31 pages long; 60-240 words of children’s narrative; 300-600 words of “Author’s Note” giving additional information about the topic. Illustrations: You do not have to be able to draw: if you want to make a collage or photoshop images together (including images photocopied from the texts you read in this class) go ahead and do that. These projects will not be published or sold and so they do not have to comply with copyright law. If you want to do the illustrations yourself, do whatever you want: paintings, cartoons, photographs, go crazy! Writing: The main narrative of the book should be something my 8 year old niece* would enjoy listening to, but don’t worry about censoring the material, she has very liberal parents. The Author’s Note should include at least two works cited (in Chicago style), and should give a compelling reason why you think this is an important topic to know about, as well as more detail on some of the themes you raised in the main narrative. Format: I want a hard copy to be handed in at the start of class. If you really want me to look at an electronic version, I will, but only IN ADDITION to a good hard copy, not instead. It does not need to be bound, there are no rules on paper size or stock. You will be graded on a) How well you represent the course concept you choose (60%), b) Presentation (30%) and c) Creativity (10%). I will return all of your books with comments on STICKY NOTES so that your masterpieces will be unharmed and yours to reminisce with for years to come. Secretly, the “course concept” that started me thinking about this was a wish for a children’s books introducing the variation in cross-cultural marriage practices. But don’t you think it would work well for lots of intro to anth concepts? Has anyone ever tried an assignment like this? I would love to hear how it went … The incredibly dorky fun of coming up with the ideas is reward enough, but talking about them makes it even better, so comment if you have questions or suggestions! *I don’t actually have an 8 year old niece, but do keep your imaginary audience in mind. It is no secret to anyone who knows me that I love children’s books. I love young adult fiction*, I love middle-grade fiction**, but most of all I love picture books. I love them Elizabeth Barrett Browning-style. I love the wide variety of artistic-styles and the short written form (when they have writing at all). Anthropology is not totally out of touch with this, as some have used the creation of children’s books*** as a tool to help communities struggling with language loss and revitalization. 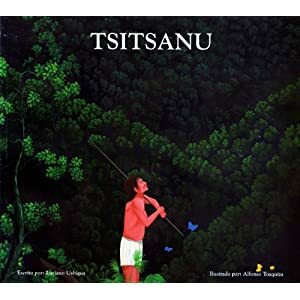 But recently I have been thinking that picture books may be even more valuable to anthropology than just the sub-section who work on linguistic and cultural revitalization. And this would not exactly require the formation of a new genre. Picture books are already suited to this purpose. For instance, Catch That Goat! may be a counting book, but it is also about a Nigerian marketplace. 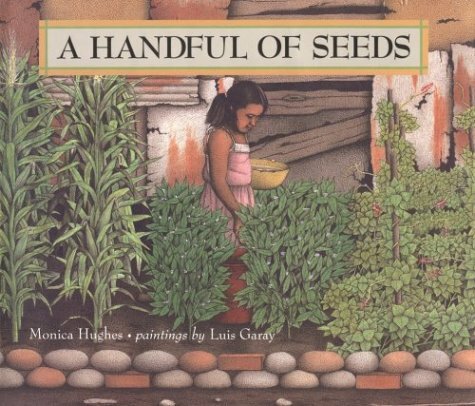 A Handful of Seeds presents a story about capitalism, family, police brutality, urban farming, and homeless children, but it is a book I would pick up for bedtime snuggles any day. The Night of the Moon: A Muslim Holiday Story is simply an account of Ramadan as celebrated by a Pakistani American girl – this genre is just begging for anthropologists to get in on it!